We are the most highly rated Immigration law firm in Pittsburgh and Philadelphia, Pennsylvania. Please feel free to look throughout our website as we provide guidance on many aspects of U.S. immigration law and practice. We are proud to have been working in this field of law for over twenty years and have much to offer. Whether you are trying to obtain immigration status for a close relative, or you want to gain immigration benefits for individuals in your company, we have the knowledge, experience, and persistence to make your road easier. 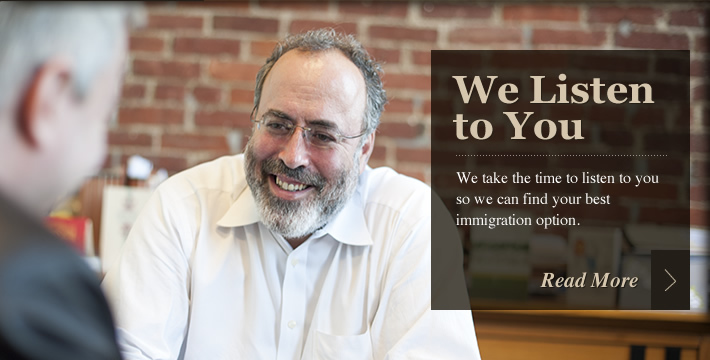 Here at Goldstein & Associates, we only practice U.S. immigration law, it is our passion. If any of the issues described here affect you then you should contact us as soon as possible for a free consultation to determine what your next step should be.